About a year ago, we announced our MOBA Paragon at PlayStation Experience. Our goal: work with you to make Paragon the most immersive and competitive MOBA out there. Through Early Access in March and Open Beta in August, we’ve updated the game every week and released a new Hero #EveryThreeWeeks. Faster, more action-oriented gameplay, but still a MOBA. Over 100 updates to cards. See all of the Monolith update in action for the first time below. For Monolith, we want to more solidly deliver on the promise of what we felt Paragon should be. To that end, we’ve turned it up a notch. Gameplay is faster. Specifically, we’re talking about faster movement speed, ability and attack execution speed, and overall game lethality. We feel this direction will help Paragon truly achieve the goal we’ve always had: The MOBA that puts you in the action. We’ve removed Travel Mode in favor of that increased base movement speed. Once mastered, the new, faster move speeds will prove easier for players to understand in terms of which engagement ranges are safe and which are likely to land them with a free timeout. While Legacy is symmetrical, the new map is asymmetrical. This layout, shown below, allows us to create clearer roles for Heroes and defines places for those Heroes. We also want our lanes to be more dynamic, awesome places filled with drama, conflict, big plays, and skilled saves. We think the smaller map with defined spaces and increased movement speeds will help us achieve our goals. In the Monolith update, we’ve also reworked damage types to allow you to better itemize armor against incoming damage. Primary attacks will now deal “Basic” damage, while any activatable power will now deal “Ability” damage. This is an important change that lets us get a much better handle on how ability-focused Heroes scale in relation to attacking Heroes. This change carries over to armor and penetration, where Basic Armor will help defend against sustained primary attacks and Ability Armor will help defend against incoming spells. The concept of “Physical” and “Energy” Heroes has been removed and all players will now equip cards with a unified “Power” stat to increase their basic attacks and abilities. Players who buy Power will see that stat build into a percentage of all their outgoing damage, regardless of whether the damage comes from their basic attacks or their abilities. Buying damage as Gideon will increase your abilities considerably with a small bump to your basic attacks, while buying damage as Murdock will primarily increase your basic attacks. Down the road we’ll be looking at adding cards which might allow for increasing only ability damage or doing cool things to your basic attacks. With all of this, it should come as no surprise that we’ve rebalanced every Hero in the game with an eye toward both faster speeds and faster kill times. Ranges for most abilities have been reduced, while timings of most activation animations have been sped up across the board. Movespeed buffs and slows have likewise all been adjusted to match the new movement speeds. We’ve also completely re-worked our Hero Twinblast to make him more lethal and fun on the new map. You can check out his new kit below. Those are big pieces, but there are even more changes and adjustments in the Monolith update like the removal of cards with cooldown reduction and an increased emphasis on managing your mana. 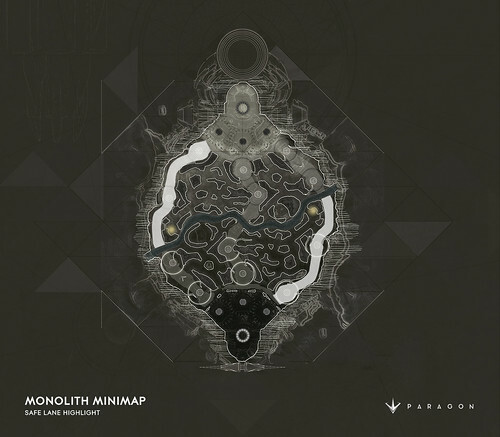 Read the full release notes for the Monolith Update.